Poor credit, broken lease, bankruptcy , no credit - no problem! Is BAD CREDIT or a broken lease or bankruptcy preventing you from finding the perfect Austin Texas apartment for you to live in or around Austin, Round Rock, Cedar Park apartments that work with credit , Pflugerville, Leander apartments will also work with bad credit or NO CREDIT! ! We SPECIALIZE IN BAD CREDIT ! A BROKEN LEASE should NOT stop you from finding a NICE APARTMENT! We work with many Apartments that look at more than credit score and rental history AND WILL GIVE YOU A SECOND CHANCE if you have bad credit, You are MORE THAN YOUR CREDIT SCORE! No credit is usually seen as good credit, then again it all depends on the qualifying credit criteria of the apartment property. 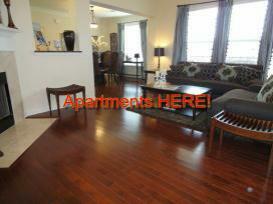 If you have credit issues you need the Best Apartment Locators Austin TX has. Life is not always easy, sometimes the situation that caused the hardship of a bankruptcy, bad credit or a broken lease is due to factors out of our control, until you are able to repair your credit, YOU NEED A PLACE TO LIVE! THATS WHERE I CAN HELP! EVERYONE IS ALLOWED A FREE CREDIT REPORT EVERY 12 MONTHS! Click here for FREE CREDIT REPORT! Let the BROKEN LEASE - BAD CREDIT-BANKRUPTCY SPECIALIST - find you a GREAT PLACE!!! For MORE OPTIONS WITH BAD CREDIT - SEE OUR BROKEN LEASE PAGE!! Many people assume that you need perfect credit to secure a great place...while it IS TRUE that excellent credit gives you more options....it is very possible to get a great place with even bad credit, BANKRUPTCY OR A BROKEN LEASE. BIG DOGS HERE ARE OK!! Our business is KNOWING WHERE TO GO!! Do you have Bad credit or Bad rental history but DESIRE A SECOND CHANCE? 11011 Research Blvd #200 - Austin TX 78759 - WALK IN'S WELCOME! HERE IS YOUR 2ND CHANCE! BAD CREDIT IS OK HERE!! This is NEW, GATED, NEWER, POOL, LUXURY PROPERTY! we MATCH YOUR SITUATION with properties that have expressed a WILLINGNESS to work with your situation! There is no need for you to waste money on application fee's just to find out if a property will work with your situation! We can Find you apartments in Round Rock that work with bad credit,, apartments in Cedar Park apartments in Leander, apartments in Austin...where ever YOU WANT TO BE! to let us find you a great place. The ONLY THING YOU HAVE TO LOSE...IS YOUR OLD APARTMENT!! !